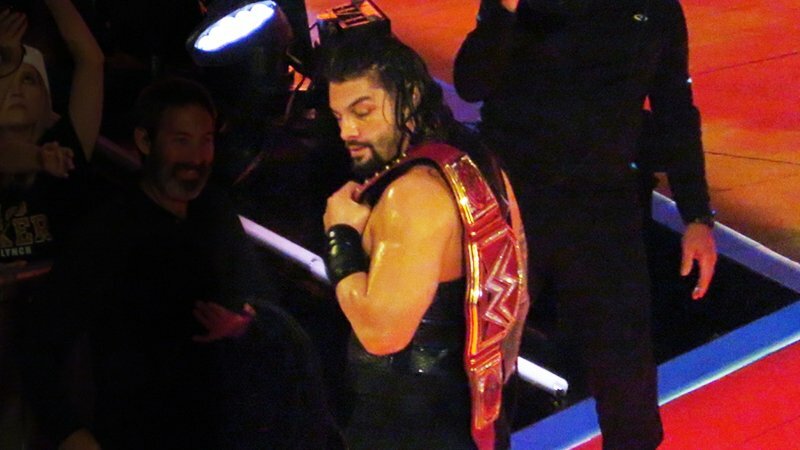 It looks like there’s a possibility Roman Reigns could miss Monday Night RAW next week. The show goes down from Chicago, Illinois at the Allstate Arena. Reigns has been removed from WWE’s website from the list of stars advertised to appear. Other stars like WWE Universal Champion Brock Lesnar, RAW Women’s Champion Ronda Rousey, and Seth Rollins remain. Also, local advertisement previously had The Shield advertised for Six-Man action. Now, Dean Ambrose and Seth Rollins are being advertised for a Tag Team match against Drew McIntyre and Baron Corbin. This is the only show that Reigns is not being advertised for ahead of WrestleMania 35. There’s currently no news on if Reigns will, in fact, be missing the show, or why he would. We’ll keep you updated. Hi @JohnCena , Zelina Vega again! I know we had our differences.. aaand yes, I did kick you in the face BUT! I’m hoping you will do a charitable deed for me anyway. Please: Tell @RonKillings he’s a loser would be great coming from his childhood hero.